Florida Homes With Chinese Drywall. 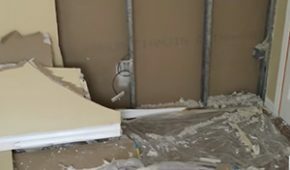 Problems with Chinese drywall have prompted some Florida realtors to change the way they do business. According to a report on naplesnews.com, some Florida real estate agents are adding clauses about Chinese drywall to the disclosure forms buyers and sellers must sign before a home changes hands. Over the past several months, owners of newer homes in South Florida have been complaining of drywall that smells like rotten eggs. In several cases, they have had to leave their home because the smell was so bad. In addition to the putrid smell, many South Florida homeowners have reported problems with air conditioning and other systems that are likely related to the defective Chinese drywall. Some spent hundreds – even thousands of dollars – to have air conditioning, pipes and wiring repaired. 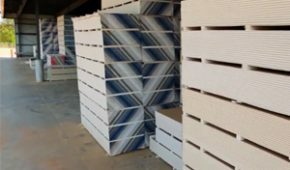 Usually, drywall is manufactured in the United States, but a shortage between 2004 and 2006 prompted many builders to buy drywall from China. Most of the reported problems stem from drywall imported from China during Florida’s construction boom years of 2004-2005. Knauf Plasterboard Tianjin Co. Ltd. of China, a subsidiary of German-based manufacturer Knauf Group, is the company at the focus of Florida’s drywall problems. An Effort to Head Off Future Legal Troubles. In an effort to head off future legal troubles, some Florida realtors have taken to adding drywall disclosures to home sale documents. According to naplesnews.com, Coldwell Banker now requires buyers and sellers to sign a form that includes the phrase “seller represents that seller has no knowledge of the presence of Chinese drywall at the property.” The form also states that Coldwell Banker isn’t responsible for determining whether a home has been built with defective Chinese drywall. Unfortunately, determining whether a house is built with Chinese drywall is no easy task, naplesnews.com said. It cannot be done on a visual inspection, and air quality testing and other measures can cost thousands of dollars. One home inspectors told naplesnews.com that even the tell-tale sulfur smell – or lack of it – is not a guarantee that Chinese drywall is or is not present in a home. But despite these complications, Chinese drywall disclosures could soon become the norm in South Florida. One member of the Naples Area Board of Realtors told naplesnews.com that she would be requesting that the board develop a uniform Chinese drywall disclosure statement that could be used by any realty company in the area. Need Legal Help Regarding Chinese Drywall Disclosures?